Growing up in a Hispanic family, Sundays and family gatherings meant Caldo. 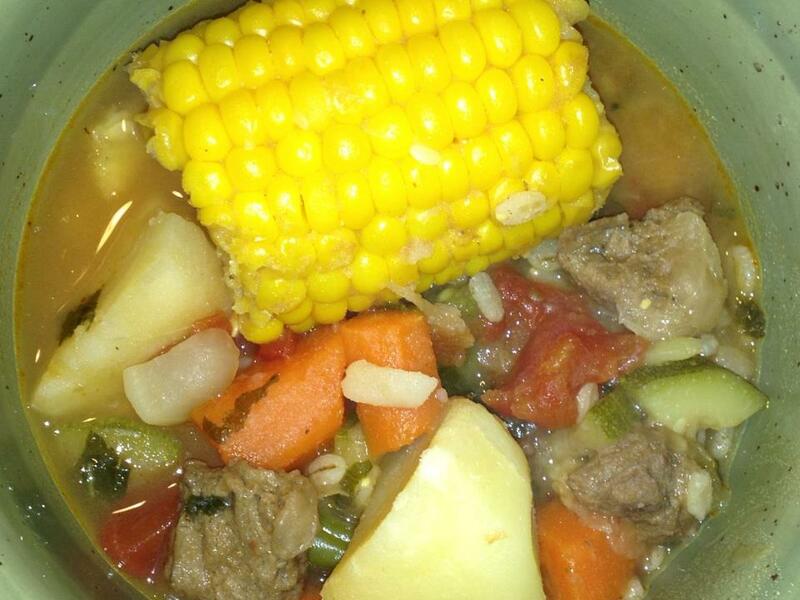 Caldo is a traditional Mexican beef and vegetable soup using beef shank and large cuts of veggies. This vegan version is just as hearty but more nutritious! Feel free to skip the “beef”. I used it in the soup I made last night but normally don’t include it…. it really doesn’t need it! I’ve also added a few less traditional veggies and barley to mine but feel free to use whatever you have on hand. My husband likes his with only corn, potatoes, tomato, and green beans (the staples – don’t skip those! If you don’t like tomatoes add an 8 oz can of tomato juice instead). I try to add as many vegetables as possible into mine though! Also, the amounts are just guides, use more or less of what you like. This really is an easy recipe… add broth to a pot, throw in veggies, cook, eat, enjoy! In a large pot over medium-high heat. Add the 1/4 cup of water and diced onion. Saute onion until translucent. Add the Add the broth, carrots, potatoes, corn, and green beans. Simmer until vegetables are tender. About 10 minutes. Add remaining vegetables and barley and simmer an additional 10-15 minutes until vegetables are cooked to your liking. Salt & pepper to taste. For the “beef”. Add non-dairy milk to a bowl and the flour to a separate bowl. 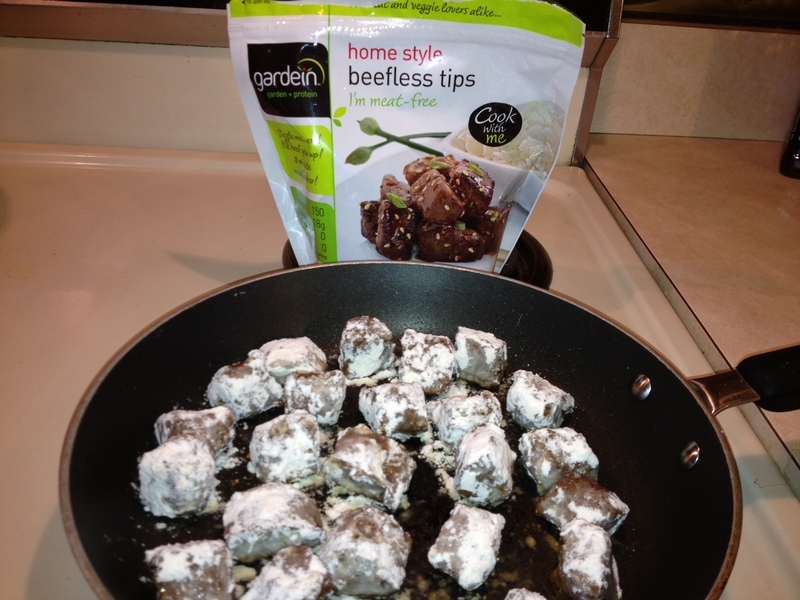 Dip the beefless tips into the milk then coat in flour. Saute in frying pan sprayed with a non-stick spray over medium-high heat and cook until flour is no longer white and the tips are warmed – about 5-8 minutes. Add to soup with the second batch of vegetables and barley. Eat it with some warm corn tortillas and avocado!